In early January, Johnson & Johnson and its Janssen Pharmaceuticals unit agreed to enter into a settlement in advance of trial in a case brought by male plaintiff who alleged that the drug maker’s antipsychotic medication Risperdal caused unwanted breast growth. The resolution of this matter marks the latest development in the ongoing litigation involving this controversial drug. The case at issue was filed by the family of Zachary Sabol in Philadelphia County’s Court of Common Pleas back in the spring of 2013 and was part of the growing tide of over 2,000 complaints that now comprise mass tort proceedings established to efficiently manage cases involving Risperdal. Sabol alleges that he developed gynecomastia (breast tissue growth characteristic of females) after having been treated with Risperdal for roughly ten years. When Sabol first began using Risperdal, the medication had only won FDA approval for use in adult patients, and information made available to the public suggested that the risk of gynecomastia was quite low, impacting fewer than one of every 1,000 patients taking it. Increasing numbers of plaintiffs now allege that as the makers of Risperdal aggressively sought regulatory approval of the drug in treating children, known dangers, including those related to gynecomastia, were intentionally hidden from physicians and the public at large. Though the medication did ultimately receive the green light for use in adolescent autism patients in late 2006, warning labels were eventually adjusted to reflect a 2.3 percent rate of abnormal breast growth in those using the drug. 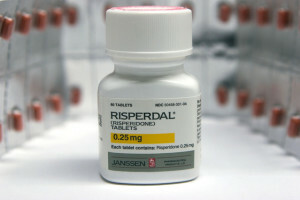 Much of the ongoing litigation concerning Risperdal is situated in Philadelphia, and has thus far yielded a range of results. The settlement of the Sabol case, for example, comes on the heels of a mid-trial decision by a presiding judge to dismiss Risperdal-centered claims due to a lack of evidence concerning causation. Prior to that, Janssen secured a verdict in its favor in a March, 2015 trial and also prevailed in summary judgment arguments in another case in October. As Risperdal lawsuits continue to make their way into the mass tort proceedings in Philadelphia, the likelihood that Janssen will pursue a global resolution of these matters is uncertain. While the company may face substantial financial exposure if the plaintiff pool continues to grow, particularly in light of the sizable verdicts already handed down in individual cases, company expression of interest in a large-scale settlement agreement has yet to materialize.